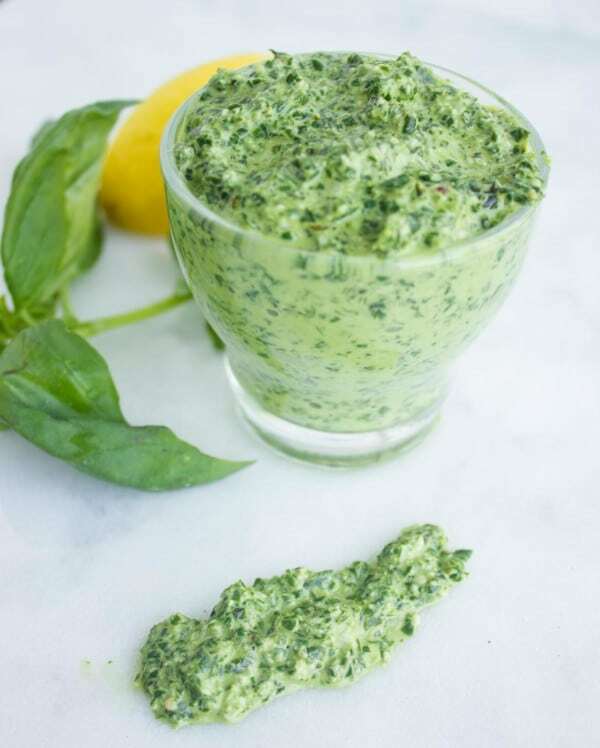 This protein-packed nut free hemp basil pesto recipe is short for the best basil pesto which as a bonus happens to be nut free and allergy friendly! 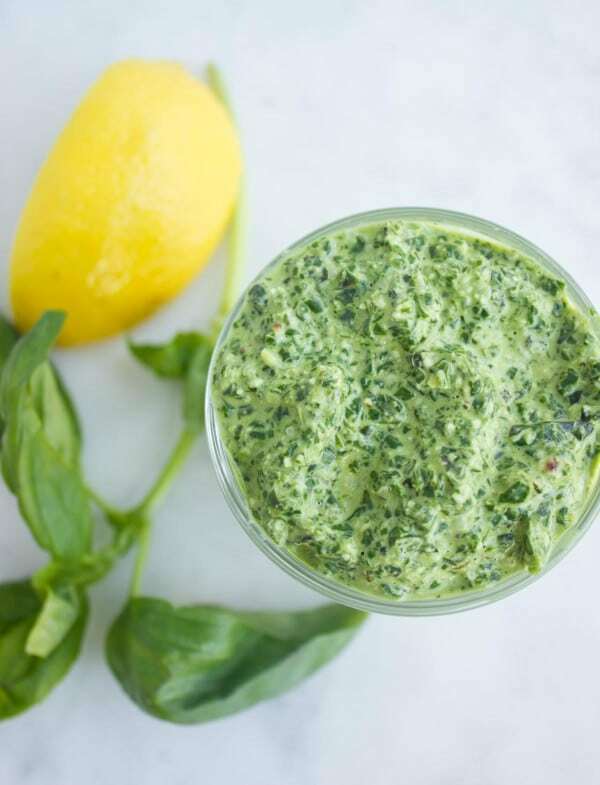 Fresh basil leaves, hemp seeds, garlic, parmesan cheese and a little lemon juice is all you need with some olive oil to make one of the worlds’ favorite sauces! Pesto is such a fabulously easy sauce to prepare, and it can be made in endless variations of flavors and used in endless recipes! Today we’re starting off with the basic one, the classic Italian basil pesto that won over the worlds’ palates. 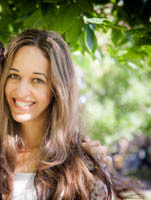 I love tossing it with pasta on a busy day, or topping it on grilled meats, or spreading it on my sandwich breads, or mixing it with vinegar and tossing it with my salads. 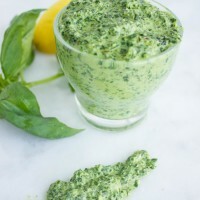 Classically a pesto is a combination of herb or herbs, garlic ( in some cases scallions or shallots), a little lemon ( lime or rarely a type of vinegar), a type of nut ( or a combination of), parmesan cheese ( this may be excluded depending on the flavors) and olive oil ( rarely other oils are used). All ingredients are pulsed together or crushed in a mortar and pestle ( the really really classic way) until smooth and saucy. 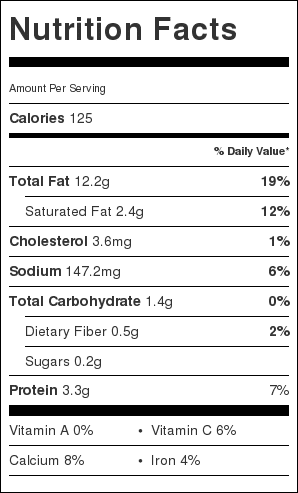 Each ingredient in every category can be changed for variations and today we’re starting with the nuts. The classic basil pesto relies on pine nuts. In a pesto, nuts are essential because they help emulsify the sauce and they add some good creamy feel to the sauce, not to mention the flavor. Hemp seeds on the other hand are not a nut, but they add just the same nutty flavour, creaminess and emulsification to the sauce which makes them the perfect candidate. In addition to all that, these seeds are one of the superfoods—they pack protein, I mean pack protein, all the amino acids, omega 6, fibre, iron and many other benefits. I started using them a while ago when my girls started having friends over for playdates and to avoid any nut related allergies while still making them pizzas and spaghettis—I opted for this sauce. 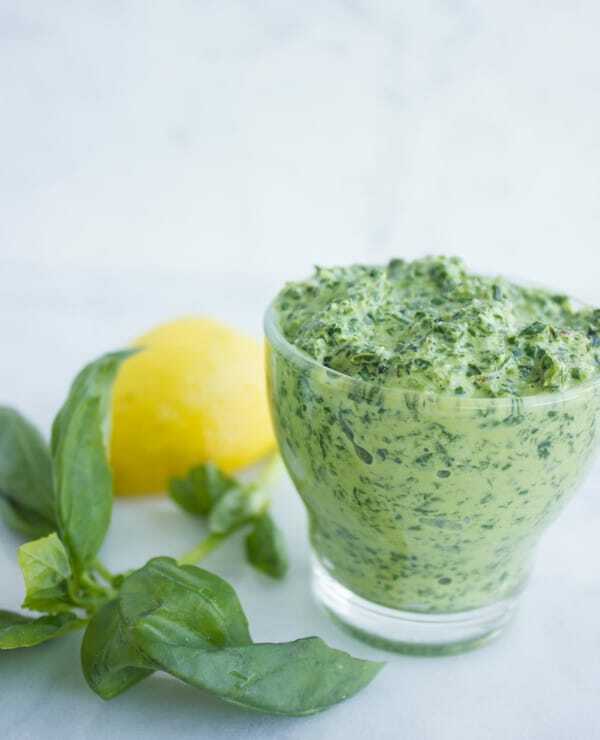 Over time, it grew on us and became our favorite basil pesto! 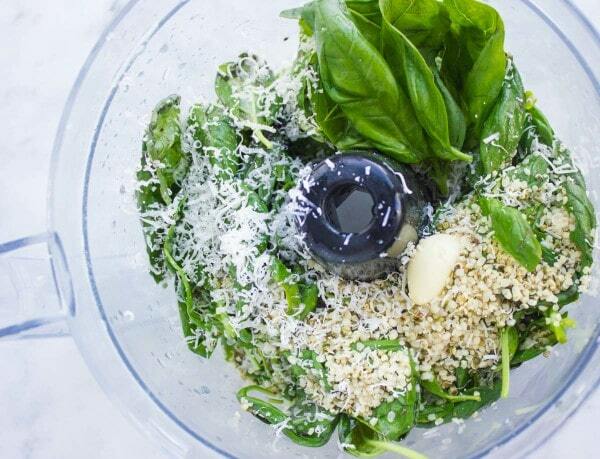 In a food processor, add all the ingredients except for the olive oil. Pulse a few times until the pesto ingredients are smooth and very minced. Keep the processor running and remove the feed tube at the top of the lid, and stream in the olive oil into the pesto mixture while the machine is still running. Stop the machine when the desired texture of pesto is reached. Store any left over pesto in the fridge for up to 3 weeks.